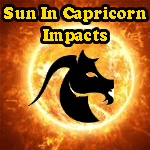 Sun in Capricorn, transit of sun in capricorn impacts, Effects of Sun in zodiac capricorn. On january 15, 2017, Sun will enter in capricorn i.e. in makar rashi, this transit of sun in capricorn will change the environment, there are many positive and negative impacts will be seen. Astrology lovers want to know how the transit of sun in makar will affect market, personal life, country , world etc. As per vedic astrology Sun of capricorn is not good and so many precautions are taken by scholars to minimize the impacts of malefic sun on our life. Read my articles "Makar sankranti Significance and what to do for success" for details. Sun represent administration, management, knowledge, name, fame, father etc. and so all these segments will be affected and changes will be seen in country and world. It is possible that wrong decision may lead to conflicts. It is possible that those people who have malefic sun can face problem of defame. There may be chance of disturbances in country due to political changes. If any aged person has malefic sun then it is necessary to give proper attention on health. 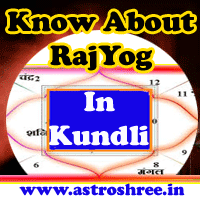 Frustration may arise in people who have malefic sun in there kundli so have patience. There is chance of conflicts between father and son so it is good to avoid any situation of conflicts with each other. There is chance of heavy ups and down in share market so it is good to have an eagle watch on market if anyone is performing trading specially from 15th January 2017. There is a chance of conflicts between employees and Boss so it is good to avoid situation of this type. There is a chance of legal problems with higher authorities. Don't use hard word with anyone anywhere. Do feed molasses with chappati to red cows specially on sunday. Do feed til ke laddu with chappati to cow on saturday. Do put pinch of black sesame and molasses in water and then offer this water to god sun in the morning. Do behave in a good way with father, boss and higher authorities. It is good to give any gift to boss, higher authorities, father after 15th January 2017. What to do on Makar-sakranti for success?